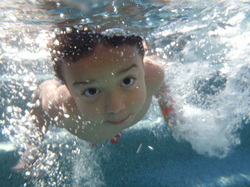 ​We have a pool in our home so it is very important to us that all of our children know how to swim. Our youngest was born missing the left side of her heart along with a few other medical issues making her extremely medically complex. We especially need her to be safe around the water. I didn’t hesitate for a second to enroll Quinn with Therace. 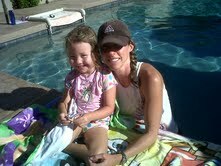 From day one I was confident in Therace and her abilities to train Quinn in the water. She was extra patient and cautious with her. She went above and beyond to make sure Quinn and I both were comfortable. 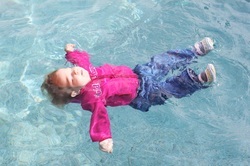 She turned my one year old fragile little girl into a confident swimmer. We are so lucky to have found Therace. She is an exceptional ISR instructor. ​Therace is simply amazing!! I was nervous about having two kids in a pool last summer. 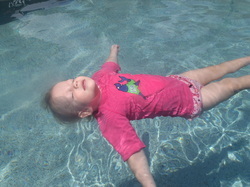 She taught my 1 and 5 year old to be fully swim safe in only a few short weeks. Therace has so much patience, has a calming presence and is just incredible with the kids! We look forward to doing our refresher course this summer. ISR and Miss Therace changed our lives for the better! Therace is such an amazing person and the very BEST at what she does! I signed my 11 month old daughter up for lessons and I was blown away at what she learned on the first day! By day three my 11 month old daughter looked like a seasoned vet! Therace is so comforting and patient which resulted in my daughter gaining her trust. I can't thank Therace enough for what she has taught my daughter. 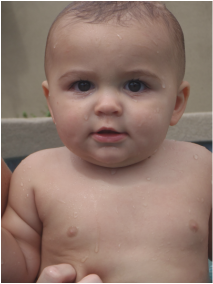 I will continue to use Therace as my youngest grows and gets older to learn all aspects of swimming! Don't waste your time looking for other instructors when you have the BEST one right here since you're reading this testimonial! Anybody that asks about swim lessons, I send them to Therace! ​I enrolled my daughter in ISR with Therace at 17 months old. 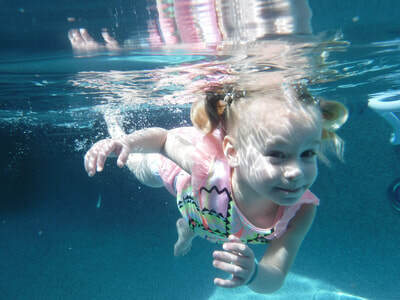 I personally don't have a pool; but family members and friends had pools which was reason enough to give my daughter the tools she needed to be safe around water. At first, she was frightened. This was her first experience with swimming. As a mom, it was so comforting to see how Therace was with my child. Therace was calm and used positive reinforcement. Soon the lessons were an event my child looked forward to and would get excited walking in knowing her turn was next. Her skills improved with each lesson and to my amazement she became the safe swimmer that I hoped she would be! She has done 3 different rounds with Therace now and I have loved seeing the confidence build in her when she masters those important skills in the water. We even started our 8 month old this past year with Therace and again I am blown away with the skills my kids come away with each season. Therace is amazing at what she does and she truly cares about each and every student and their success. Each lesson is tailored to the child. I am so glad we chose ISR and especially Ms. Therace! After putting my son in a few local area swim lessons without seeing any improvement in the way he was swimming and his comfort level in the water, I was getting a little frustrated. I had heard about ISR but was a little cautious because it seemed so intense and a little expensive. 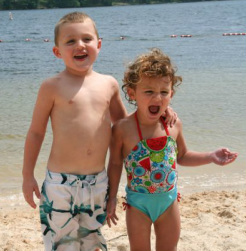 I knew that he (at 5-years-old), and by then my daughter (at just about 3-years-old) needed to know how to swim for their safety. My husband and I decided to give it a try. I met Therace through a friend and knew upon meeting her I could absolutely trust her and I knew she would be the kind of Instructor I needed my children to have. After the first class, both of my children were swimming with their eyes open under water - a complete and absolute miracle!!! I could not believe what they learned in that first 10 minute class! And by the end of the session, the children were comfortable in the water and confident in their skills and I was confident that they'd know exactly what to do if they were ever in a situation where they needed to put those skills to the test. 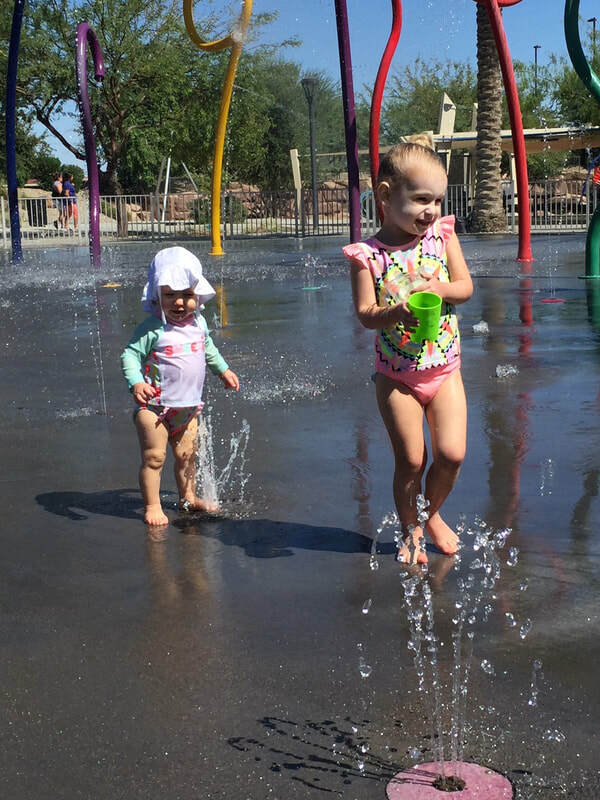 I learned the skills I needed to allow and encourage the children to engage with the water and have fun and not be the over-bearing Mom that can sometimes take the fun out of playtime in the water. Therace's gentle, yet firm and encouraging approach was exactly what the kids (and I) needed. She was truly amazing and I would never recommend anyone else. The children enjoyed their time with Therace so much that they were sad when their session was over. I wish I would have given ISR a chance a couple years back. I would have never wasted the time on those other places. It was the absolute best money we have ever spent and we could never put a price on the skills they learned to survive in the water. Thank you SOOO much Therace!!! 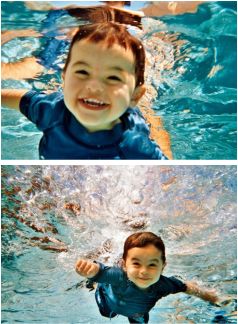 Our son Hayden started the ISR swim lessons at 18 months old and we could not be happier with the results and skills that he achieved during his six weeks with Therace Pollard. 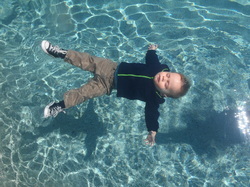 Living in Arizona, where most backyards have a pool, we felt very strongly that we needed to give our son every opportunity to be safe around water. 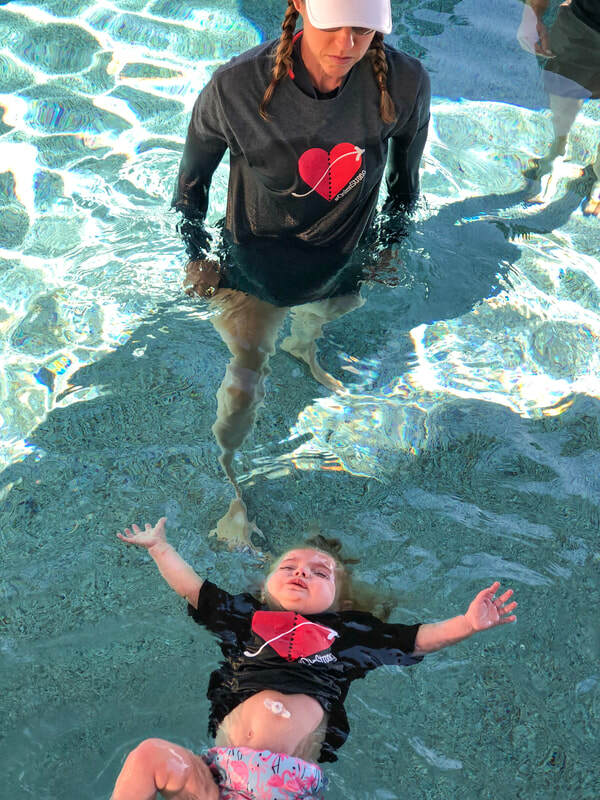 We started in a traditional 'mommy and me swim lessons and while it was enjoyable and fun, it did not teach any survival skills to be safe in and around the water. We did our research and found the ISR lessons and Therace. 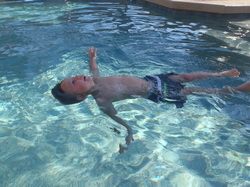 Not only did the ISR swim lessons teach the survival skills that we were looking for but it gave us the peace of mind to know that if the unthinkable happens, our son will know to stay calm and float until help arrives. One of the reasons that our son was so successful in this program is because of the amazing instructor that he had. open communication with me, answering any questions that we had and even instructing us on how to continue practice at home. I am so thankful that our family found ISR and Therace and I will continue to recommend her to family and friends! 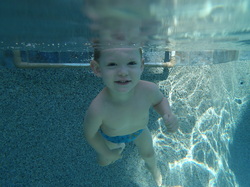 My 3 year old son had been in swimming lessons for a year. He could swim from one side of the pool to the other and was very comfortable and confident in the water. A friend had been telling me about ISR for the longest time, but I didn't think the classes were necessary. His skills were really put to the test the day he nearly drowned in a friend's pool. I called Therace immediately, and I knew after speaking to her that she was so passionate about what she does - giving these kids the skills they need to survive in not only a pool, but any body of water. Nate learned an entirely different (and safer!) technique with Therace. He looked forward to their time in the water and because she made his lesson so fun, he probably didn't even realize that he was taking a class. We are so thankful for our son being given another chance at life and this time he can be better equipped should the unthinkable happen again. My husband and I both love the water so even after having kids we have always gravitated toward fun activities at the beach, pool, etc. Like most parents, we consider our kids' safety our top priority so after seeing an ISR video online, we felt it was imperative that our kids learn the skills taught by the ISR system. It was just a matter of finding the right instructor. Finding Therace was such a blessing. Not only is she extremely knowledgeable, confident, and a great teacher, she is also genuinely warm and compassionate as an individual. We immediately felt at ease with her personality and teaching style/approach with our kids. She easily became more than a "swim teacher" but also a good friend to our family. Therace patiently got to know and worked with each of our (three) children's unique personalities and abilities to teach them lifesaving skills. She was excellent in communicating with us parents about the specific (daily and weekly) goals, as well as progress and challenges along the way. It was such a pleasure working with Therace! The only downside was having to drag our kids away from her house every single day - they never wanted to leave "Miss Therace!" :) With the skills they learned from Therace, our kids are now more confident around water. They've gone from just hanging out on the pool steps or seashore to doing cannonballs off an outrigger in the open sea. More importantly for us parents, knowing that they are equipped to help save their own lives - God forbid they should ever need to - is absolutely priceless. Therace Pollard and ISR changed my son's life! We tried 3 other forms of water instruction and he would tremble next to a body of water. He was so terrified and then traumatized from his prior instruction that we didn't think anything would help him. We were referred to Therace from a friend and I had such a wonderful feeling about her, but I was skeptical he would participate. Therace had the most patience and care with our son that within days he was excited to go into the water with Therace. We had both of our children taking lessons with Therace and I could see the passion and love for ISR that she has. We were amazed on a daily level at the progress both of our children were making and our youngest could barely walk, but she could float!!! My children received the most exemplary ISR training, but my son gained a whole new confidence in himself! We could never thank Therace enough for what she has done for our family through her ISR training. She holds a very dear place in our hearts for her love and tenderness she has shown to our children. We feel truly blessed that we have Therace in our lives and working with our children again this year! Karen and Tony P.
My oldest son Diggy (3yr) had been to swimming classes for almost 3 months. He could only put his head underwater and blow bubbles and that really was about all that he had learned within three months. My youngest Noah just turned 1yr. and had never taken any swim classes. With Summer coming closer, my fears of them falling into a pool and drowning grew with all the devastating news about drownings on the news. On June 27, 2013 an abc15 news segment aired about Chandler ISR. It showed Therace working with a child who was found unconscious and after just three weeks, got him from being afraid of the water to swimming like a fish. I sent an email immediately and within a couple of hours I already had a response, had been sent links, and advised of times for availability. 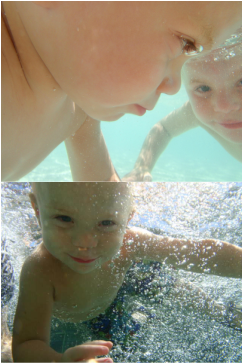 The very first day my boys were doing more in the water than I could've ever imagined. 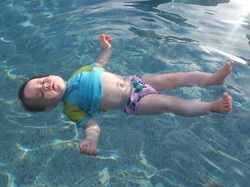 My oldest son was doing more the first day than he had ever done in all of his months in swim class. By the end of the first week, I brought my oldest son in front of his previous swim instructor. She was blown away wondering how he had got so good and was able to float and swim. I couldn't help but brag about Therace. I was already excited by the progress Diggy was at, but to have his previous instructor see the vast difference that he had made just encouraged me that much more about Chandler ISR. Therace is one of the most kindest, positive, and encouraging Instructors that I have ever encountered. I know that my boys are swimming and are safe because of the attention to detail that she put on each child. She teaches with the knowledge that all kids do not fit one mold and she works with them on a one on one basis. I got to see this first hand with the lessons that I witnessed. She always said her biggest goal is to make sure these children were safe. That I could email her anytime if I had any questions or concerns as far as their lessons or the development in the same class went. I am an Arizona native, a Chandler resident, the wife of a firefighter, and the mother of two young boys. All of these roles play a part in my concerns in making sure we can do whatever we can to keep our children safe around water. As an Arizona native I have heard all too many times of the unfortunate drownings that take place every year. In a state where so many people have pools we can never be too cautious. As a Chandler resident, and the wife of a Chandler firefighter, I never want him to see another drowning situation. Every Chandler parent should put their young children through ISR. As a parent, we want the best for our children and the ISR program is the best. There are many other swim classes and self-rescue programs that compete with ISR, but none of them compare to the confidence that you and your child receive from ISR. A client of mine told me about the ISR program that her sons had gone through. She couldn’t stress enough to me how amazing the program was and how much her boys benefited from it. So when I began to have children of my own I knew that I also was going to send my kids through the program. I began to research ISR and came across some online demonstrations that gave me chills. I was convinced that we had to get our 18 month old into lessons. My husband told me that the wife of one of his co-workers taught ISR not far from our house. In April of 2010 our son Bradley began lessons with Therace Pollard. We knew we would be nervous watching our son be completely out of his comfort zone but we also knew it was the best thing we could be doing for him. From the first day of lessons we completely trusted Therace. She was so patient and caring with Bradley. Each day he made more and more progress due to the gentle yet progressive approach of the ISR program. ISR has provided my child with the skills to save his life should he accidently fall into a body of water. Bradley now recognizes water and respects it. Everyone in our family now has confidence that we can’t put a price tag on. I can’t wait for Therace to teach my second child the same life-saving skills that she has given to Bradley. We are so grateful to Therace and the ISR program for the added peace of mind we carry with us every day. Heather C.
By Jake and Kristen B. Words cannot express how truly amazing Therace and this program are. She was absolutely incredible with our daughter!! She not only taught her how to swim but, gave her the confidence and a LOVE for the water, that prior to this, I never thought she would have. It was a miracle each day and week watching this transformation take place before our eyes. The love, patience and support that Therace gives to each and every child she teaches is overwhelming! 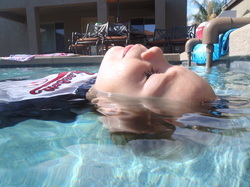 Living in Arizona it is practically a must for children to learn how to swim and Therace not only did this, but also gave our daughter the water survival skills that will be with her for a lifetime. She truly is a lifesaver and we are forever grateful for everything she has done!!!! Thank you Therace!!!! By Jeanne and Jake B. 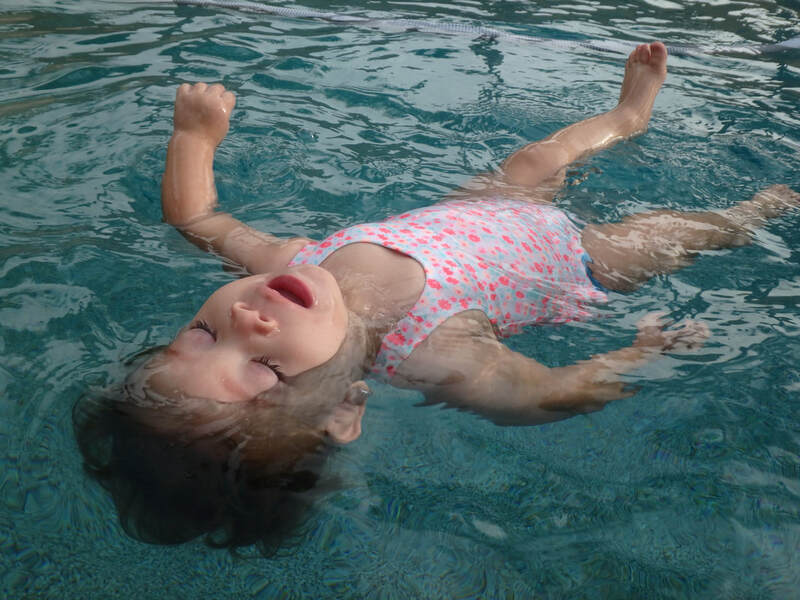 If you want your child to feel safe, comfortable, and to be aware of their own capabilities, then you absolutely need ISR and Therace Pollard to enhance your child’s life with water saving techniques. These are lifelong lessons that are truly worth it. 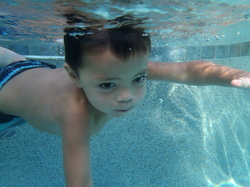 My son Kane has been a student in Therace’s ISR classes for three swim seasons. He started as a 15 month-old baby that had no water experience and is now 3 years old and can float, swim underwater and get to safety if needed. I thought if anyone could protect our child in the water better than us, it would be himself. We are always with our children at the pool, but it makes you feel a little more at ease to know that Kane can flip over to his float until help can get to him. Therace is a great teacher. She is very positive and treats our child like her own. Her passion for their safety makes her stand out among others. She is a pleasant person and makes babies and children feel comfortable. I am glad we decided to trust her to make our lives richer with safety in and around water. Jeanne and Jake B. ​We can't say enough good things about Therace Pollard and the ISR program! Ella is in her third year with Ms. Therace and Nicholas is in his first. Both kids are thriving under her kind and patient instruction. Highly recommend this program and this instructor!! I can't thank Therace enough for her patience and kindness towards my daughter as she cried during lessons, and for teaching her the essential water skills to back float! 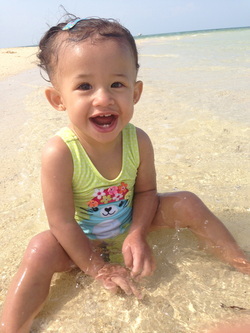 Also, for Kayla: Therace not only taught my daughter life saving water skills, she also instilled confidence in her, which led to her development even outside of the pool.